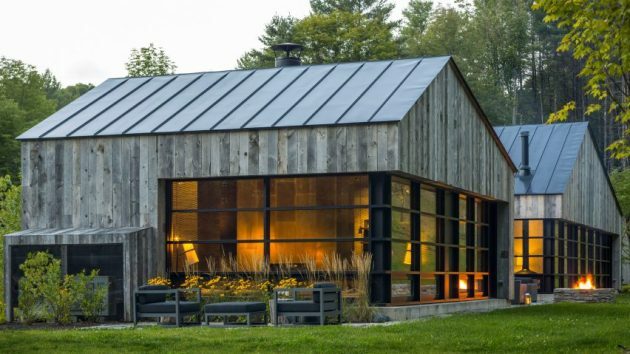 Birdseye Design is the Richmond-based studio that has designed the Woodshed cabin in the very foothills of the Green Mountains in Pomfret, Vermont. This beautiful timber-clad cabin stands out from the rest of the dwellings in the area with its unique roofs and weathered timber cladding. 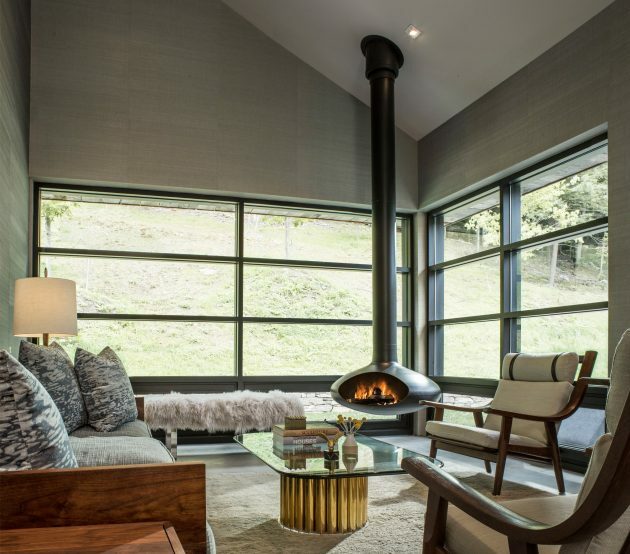 Seemingly rustic, the design of this home combines contemporary elements with the traditional mountain cabin looks while large windows ensure that the scenic natural surroundings get plenty of show time from inside of the building. 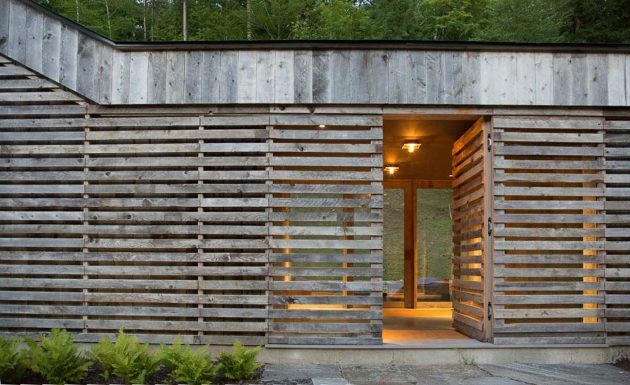 Woodshed is a residential project nestled in the foothills of the Mountains in Vermont. 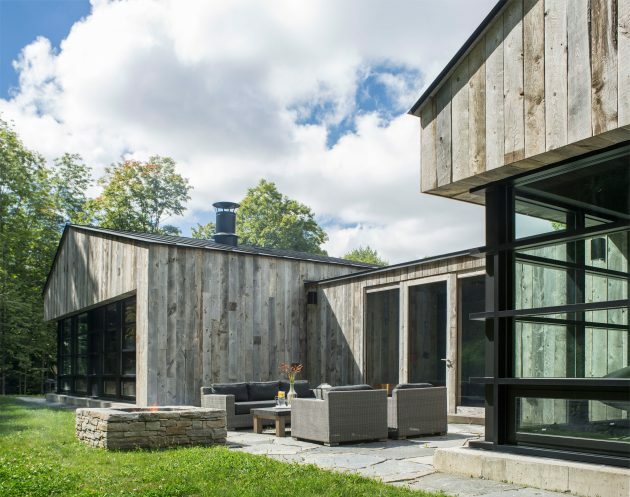 Sited on a clearing on a steeply sloping and heavily wooded site, the Woodshed is both a guest house and entertainment space for the main residence down the road. 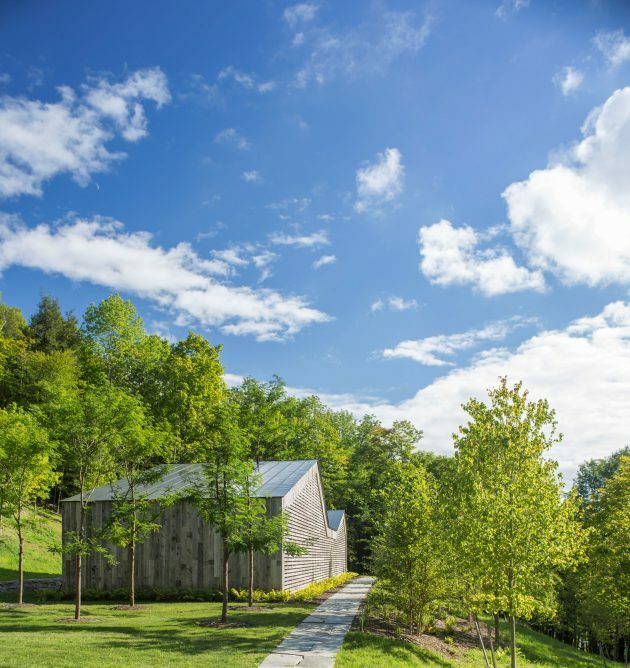 The project is conceptually inspired by the vernacular woodshed, a familiar and iconic element in the Vermont landscape. 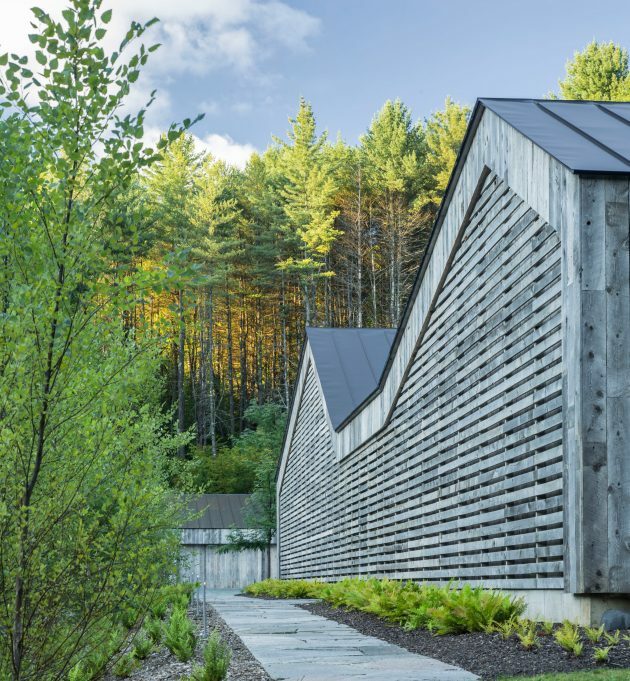 The residence is composed of two asymmetric gable roof forms, akin to the traditional woodshed, connected by a central entryway. The project is visually bookended by an auxiliary garage. 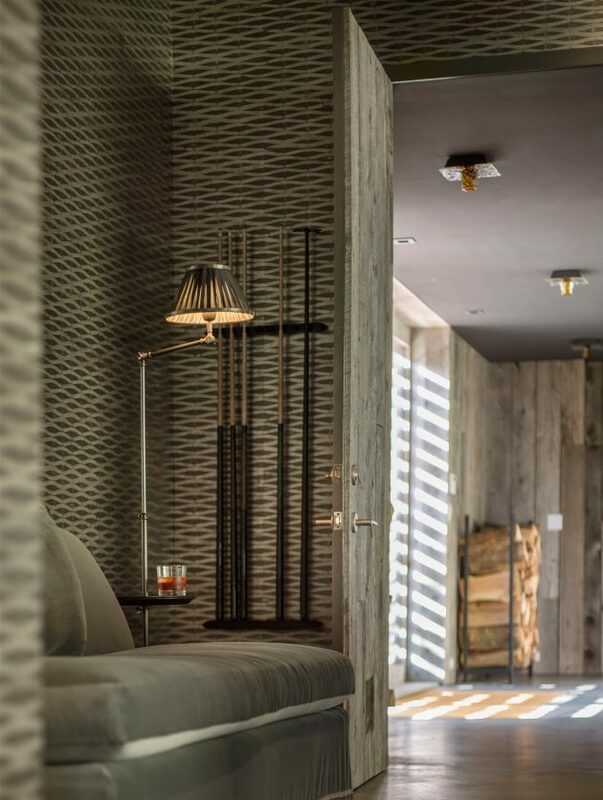 The western, public elevation presents the continuous, wood textured wall that evokes the expressive, scrim wall of a traditional woodshed. 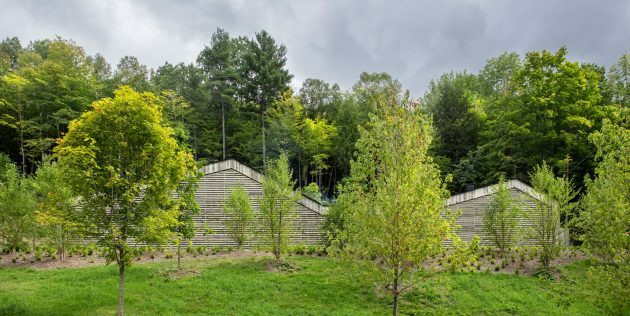 The project purposefully projects a minimal familiar elevation to the non-view, public street side and an engaging, contemporary open elevation to the private hillside. The eastern side opens to the views with a glass façade that invites the landscape and exterior retaining walls and terrace spaces into the structure.